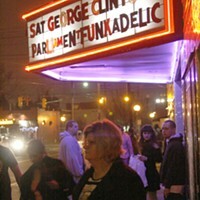 Its hard to deny that LiveNation pulls in big names to the Queen City. While some may have argued that the Bobcats Arena has more comfortable setting  no worries about rain  they dont have shows there consistently enough. Last year, Verizon welcomed Tom Petty, NIN, Dave Matthews and Widespread Panic, among others. The summer schedule this year includes big festivals such as Ozzfest and the Vans Warped Tour, as well as shows by the Allmans, Gwen Stefani and Matthews. Its where to go if you want to see a big show in the area. And if the weathers nice, you cant beat the lawn.